The 11 Second Buyer - Are you ready for them? That’s all a buyer needs to decide if they like your house or not. Your entryway needs to be the best looking room in the house, yet most sellers put very little effort into this area. It’s not even an actual room, but it is the first thing buyers see when they walk into your house and it is their very first impression. It will either bring them in further or make them want to turn around and walk right back out. Keep the entryway clean, bright, and clutter free. Dust everything, including the baseboards. Keep the floors so clean they shine. Add a runner or decorative rug that draws buyers into the house. Add a new coat of paint to spruce up faded or chipped walls. Keep the colors warm and neutral. Add a decorative console table with flowers. Hang a decorative mirror to create the illusion of extra space. Let in as much natural light as possible. Paint the front door - interior and exterior. Put the same amount of effort into the exterior of the house if you want the buyer to make it inside the front door. 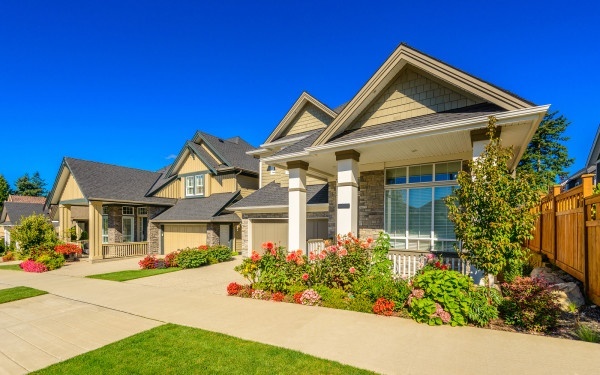 Pay special attention to landscaping and how inviting the front of the house looks. Keep the front of the house clean and free of anything that would inhibit people from easily getting to, or entering, the front door. Keep landscaping neat and tidy. Paint the exterior entryway to the house to give it a fresh look. Keep the grass mowed or snow shoveled. Add a pop of color with season appropriate flowers. If there is dirt build up on the exterior of the house, give it a good power wash.
Clear the gutters so if the house shows in the rain, the gutters are doing their job and not dumping water on potential buyers. Sweep any loose grass or trimmings off the driveway, sidewalks, walkways, and front step. Keep the yard neat at all times. You never know when someone will drive by to scope out the house before making an appointment to see it. Buyers can very rarely get over the feeling of walking into a dirty or cluttered home. You have one chance to make a first impression, so make sure it’s a good one. It is what will make or break the sale of your property. 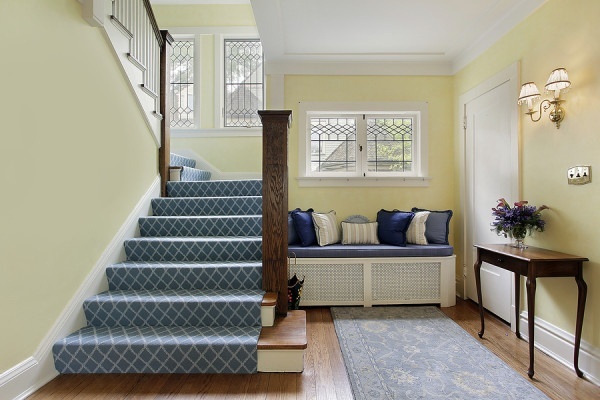 Is there anything you always do to make your entryway more inviting for potential buyers? Please share it with us below.